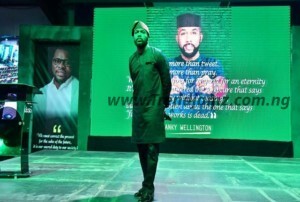 Popular Nigerian singer and songwriter, Banky W (Olubankole Wellington), has come out to deny comments made by a Twitter user who accused him of collecting the sum of N57 million to support President Muhammadu Buhari’s second bid for the presidency. A Nigerian lady with the name Shalom Miriam Shehu‏ on the micro-blogging outfit, had alleged that the entertainer, who is contesting for a seat at the House of Representatives in 2019, received the huge cash to run adverts for Mr President. In a series of tweets on Saturday, January 26, Miriam claimed she has evidence of the transaction between Mr Banky W and the campaign organization of President Buhari. The singer, who appeared not in the mood to allow the allegations thrive, issued an instant rebuttal on the social media outlet.